Sean Fay Wolfe was sixteen years old when he finished the first book of the Elementia Chronicles in 2013. 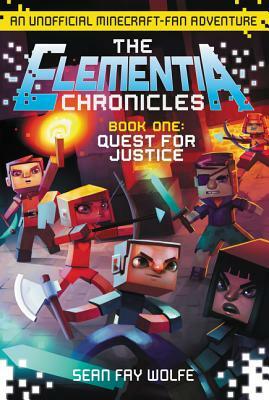 He is a Minecraft player and an author of action-adventure tales. Sean is an Eagle Scout in the Boy Scouts of America, a five-time all-state musician, a second-degree Black Belt in Shidokan karate, and has created many popular online games in the Scratch programming environment. He goes to school and lives in Rhode Island with his mother, father, two brothers, three cats, and a little white dog named Lucky.